The Greatness Of The Moon…. 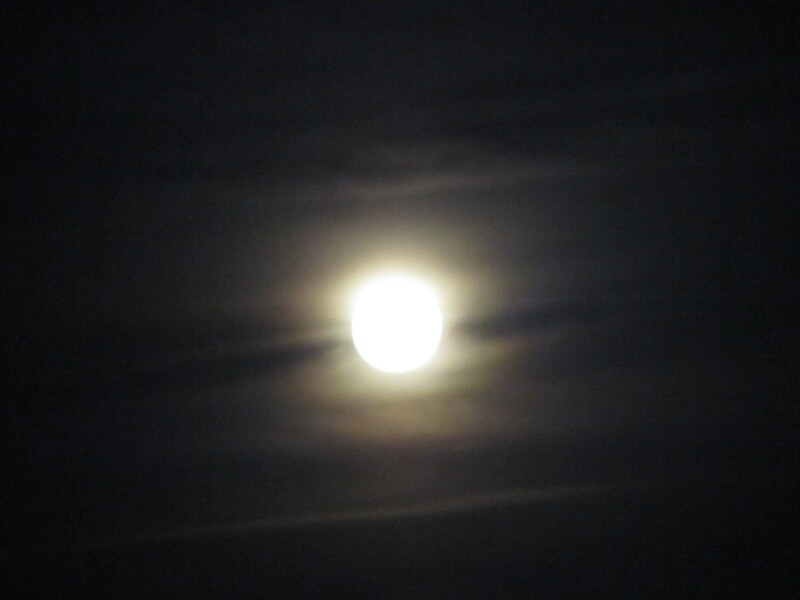 One night, like this one, the moon was out – full, beautiful and bright against the blackness of the night sky. It was then that I wrote this poem, over a year ago, and it is only now that I’ve gathered up enough courage to share it with you. I hope that everyone is able to feel the greatness of the moon…. And then place a kiss at the nape of my neck with those soft, warm, full lips. As if we’re the last two living beings of all of the life in the universe. Where you take the time to stroke my face and place a kiss on each of my eyelids. I exhale a small breath, one that speaks from deep within my soul and open my eyes. That’s when I realize you’ve touched me, without touching me at all. I want you to touch me again, to the depths of my soul. This entry was posted on Saturday, August 13th, 2011 at 3:46 am	and tagged with Moon, Poem, Soul, Touch and posted in Poetry, Uncategorized. You can follow any responses to this entry through the RSS 2.0 feed. « The Janet Jackson Experience….